G.L. 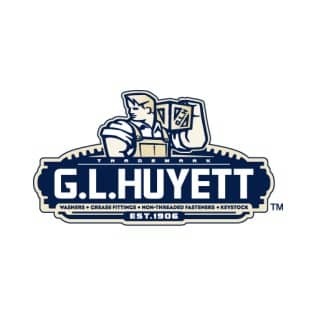 Huyett, with headquarters in Minneapolis, Kansas was established in 1906. G.L. Huyett supplies the following products to customers worldwide: pins, retaining rings, grease fittings, o-rings, bearings, flat washers and a number of other products. G.L. Huyett supplies customers large and small to a number of different industries and a wide variety of different applications.